The walking stick umbrellas have a soft feel crutch handle, an adjustable length shaft and a rubber ferrule. 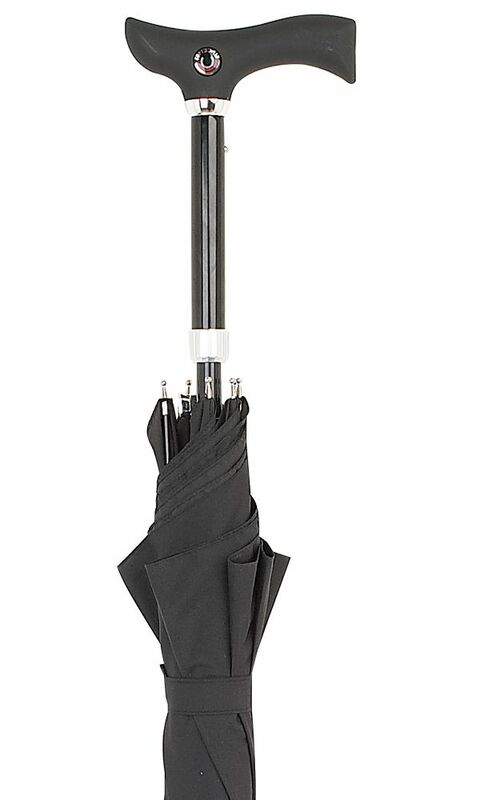 Unlike a crook handle umbrella it is designed to be strong enough to lean on. It adjusts from 32.5" to 36" (82cm to 91cm).